Would You Pay Nearly $100,000 For A Paint Job? 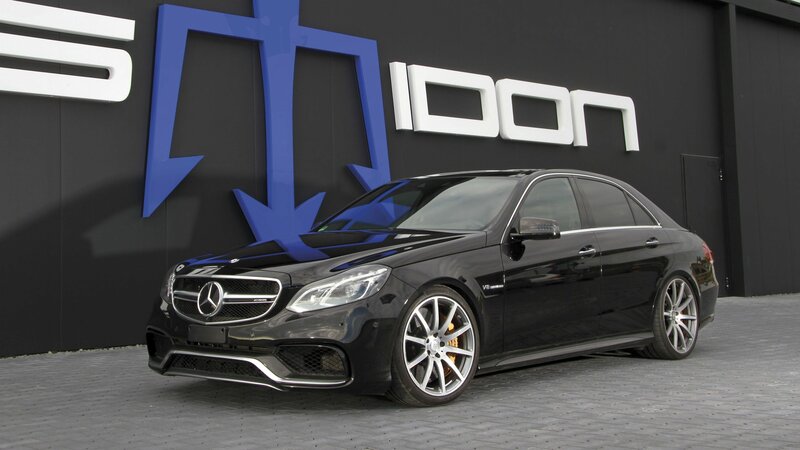 The price for vanity can run deep, especially when we’re talking about a car like the Porsche 911 Turbo S. The base price for one here in the U.S. already adds up to $190,700, and that’s without all the bells and whistles that can run costs up to comfortably north of $200,000. 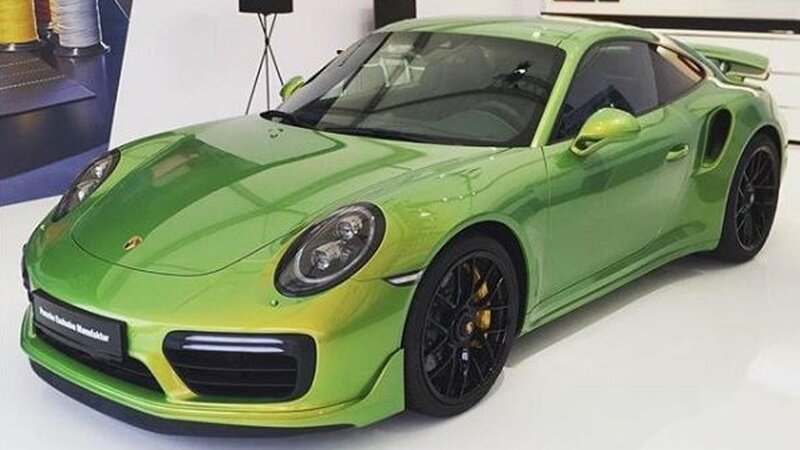 Now if you really want your 911 Turbo S to stand out, there is a color option called Phyton Green “Chromaflair” that will no doubt get the job done. 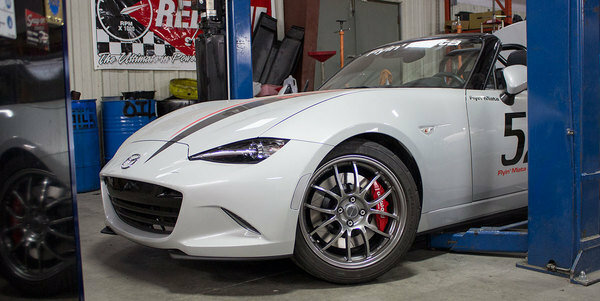 The only caveat is that availing of this color option will set you close to an extra $100,000. Do the math and that price tag is more than half the cost of the actual 911 Turbo S. Vanity, ladies and gentlemen. 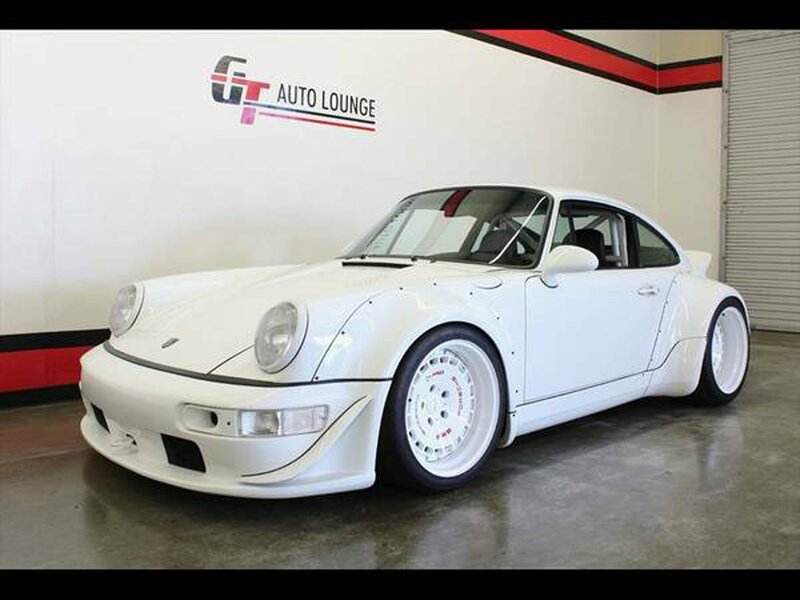 Porsche Exclusive didn’t say how it got to that specific price tag for the paint job, nor will it ever, given the number of trade secrets that are likely involved in creating that exclusive color. What we do know, thanks to an Instagram post by PTSRS, is that the “Chromaflair” treatment is also available in three other color variants, including blue, gold, and violet. According to PTSRS, the violet Chromaflair version had been on display in the past at Porsche’s factory in Zuffenheisen, joining the Phyton Green version that was showcased at the Nurburgring recently. These exclusive paint finishes may not be the most expensive add-ons in the market – imagine the options Bugatti’s offering for the Chiron – but they’re no less going to burn serious holes in your wallet. As if eight full-length movies, a series of video games, and a handful of short movies aren’t enough to satisfy our craving for anything Fast and Furious, we’ll now be treated to a series of live shows featuring Vin Diesel as Dominic Toretto talking about, well, Fast and Furious. Yes, Fast and Furious Live is apparently a real thing now, and I don’t know exactly how I feel about it. No less than Diesel himself confirmed the news in a Facebook post that straddled the line between revealing and confusing throughout its entirety. Diesel even donned his Dominic Toretto garb to briefly talk about the live show, something he said that hasn’t been done before, at least in the planned scale that he and his team are preparing for. That said, Diesel doesn’t seem to know the full schedule of the live show just yet, only revealing that he thinks the first show will be held at the 02 Arena in London before trekking the world for the succeeding installments. There’s a website – fastandfuriouslive.com – that’s also been created to find updates, but at the moment, there’s little else but Facebook and Instagram posts, as well generic teasers in it. Still, this Fast and Furious Live show appears to be something that’s happening soon, possibly at an arena near you. 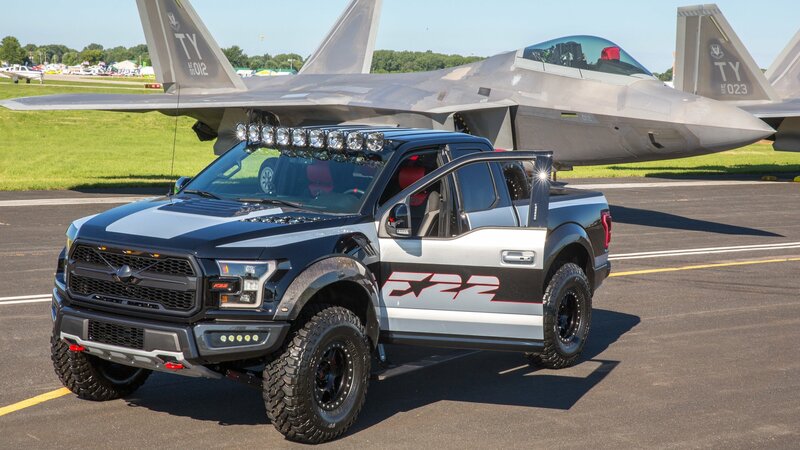 Ford Performance created a one-off F-150 Raptor styled after the Lockheed Martin F-22 Raptor fighter jet for a charity auction benefiting kids’ interest and participation in flying. Called the Gathering of Eagles, the annual event is hosted by the Experimental Aircraft Association. 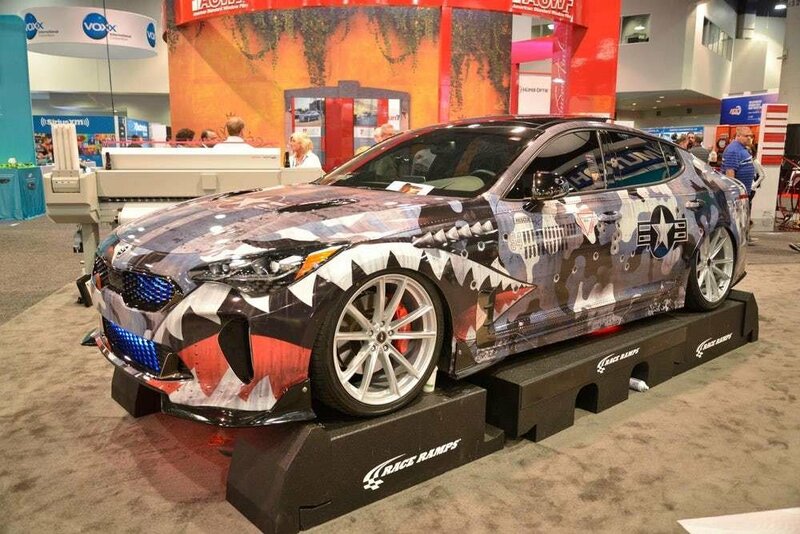 This year, the auction raised $300,000 thanks to Ford’s donation of the “F-22 Raptor.” The truck obviously takes its name and styling cues from America’s premier fighter, going so far as to incorporate the jet’s silhouette into its grille and side mirrors. But that just scratches the surface of what Ford did to this 2018 F-150 Raptor Crew Cab. The Raptor boasts a Whipple intercooler and other performance upgrades on its high-output, 3.5-liter EcoBoost V-6, giving it an impressive 545 horsepower and 660 pound-feet of torque – a healthy improvement over its stock 450 horsepower and 510 pound-feet of twist. The bodywork received carbon fiber fender flairs, custom LED lighting, power-deploying running boards, an aggressive wheel and tire package, and that silver-over-black paint job. These, combined with other upgrades, helped the truck garner a $300,000 winning bid, beating out last year’s winning bid of $295,000 for a P-51D Mustang-themed 2017 Ford Shelby GT350 called Ole Yeller. Making the winning bid more special – it was from Gary Ackerman of Gaudin Ford in Las Vegas. Ackerman serves as Honorary Commander and Ambassador for the U.S. Air Force’s F-22 Squadron at Nellis Air Force Base in Nevada. They say that fine art speaks incredible stories while sitting still as people look at them. In a lot of ways, the Pagani Zonda is the farthest thing from fine art, particularly that it doesn’t do well in an idle state. Then again, the Zonda is also, in other ways, the epitome of fine art. It’s limited nature and exotic qualities make it precious in a lot of eyes. And as far as the stories it tells, well, let’s just say they make for good conversations. Take this particular Zonda for example. It’s now called the Zonda Riviera, but it didn’t always carry the name. Once upon a time, it was a Zonda F, and in the decade that’s been alive, it’s been through quite a lot for a car of its stature. It does seem a little odd that we’re seeing another Zonda get reimagined as a new model only a week after seeing another of its kind, the Zonda Fantasma Evo, go through the same treatment. 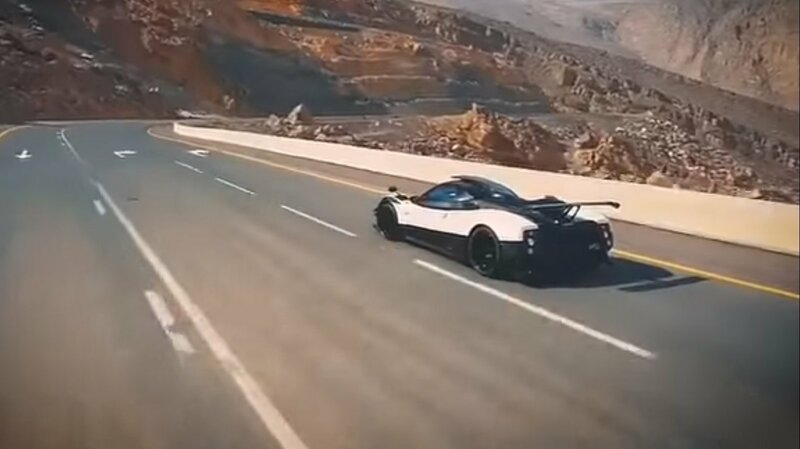 These events do speak of the age of the model and the fact that it’s been 12 years since Pagani rolled out the Zonda F means that we’re likely to see more of them in the near future. For now, though, the Zonda Riviera takes center stage, as the Zonda Fantasma Evo did last week. it doesn’t quite have an eventful story as Fantasma Evo – that one literally came back from a crash – but it does have a tale or two in its pocket, as most Pagani Zonda Fs that have aged rather nicely will tell us. Just in case it isn’t abundantly clear by now, the Porsche 911 Turbo S is a legend. It’s regarded as one of the most iconic models in history, as it has been ever since it was launched in the market 54 years ago. The sports car’s appeal is unlikely to lose its luster anytime soon, and it’s that particular timeless quality about it that has made the 911 such a popular model in the aftermarket tuning circle. The current-generation 911 has seen its fair share of programs from tuning heavyweights like TechArt, TopCar, and Gemballa. 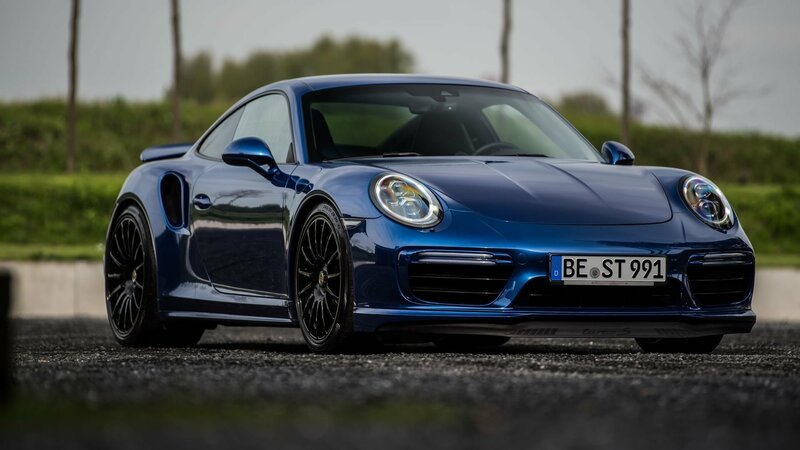 Now it’s edo competition’s turn to get in on the action and the German tuner didn’t disappoint with a 675-horsepower creation called the 911 Turbo S Blue Arrow. It’s a fancy name for a fancy tuning program for a fancy sports car. It also happens to be potent beyond words, not to mention capable of achieving incredible amounts of speed and power that fits into the performance legacy of the Porsche 911. It’s fitting, too, that this program comes from edo competition, the same tuner that’s responsible for some of the most impressive tuning creations in history. Remember what it did to the Ferrari Enzo all those years ago? I don’t expect this creation for the 911 Turbo S to match that in power and performance, but I do know that it doesn’t need to. The Porsche 911 Turbo S is its own unicorn, and edo competition did it a solid by sprinkling its pixie dust all over it. Folks like us do some pretty silly things in the name of performance. Whether its justifying the purchase of a new Alfa Romeo Giulia Quadrifoglio as a “family car,” or breaking your back running coilovers on the daily driver for a few seconds per lap on the weekends, you wouldn’t be wrong for calling our perspective “skewed” at best. That said, where there’s a will, there’s a way, as evidenced by this intrepid young Subaru driver’s unorthodox approach to boosting horsepower. 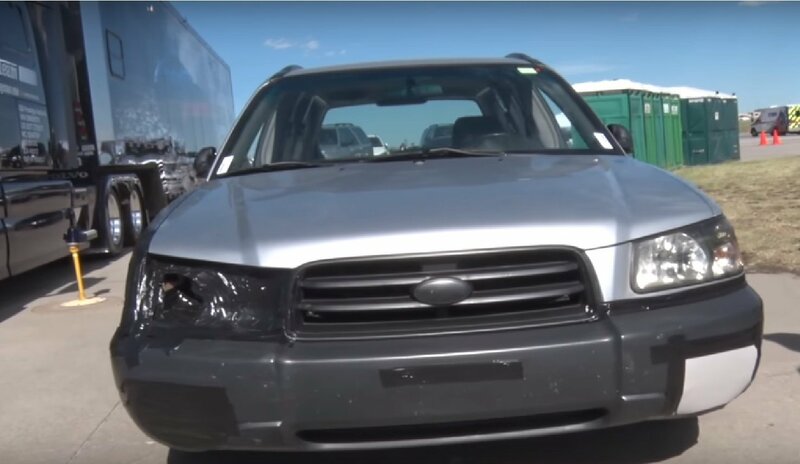 Documented in a short five-minute, 21-second video from our friends over at 1320 Video, the Subaru in question is a mostly stock early 2000’s Forester running flat out at the Pikes Peak Airstrip Attack event at the Colorado Springs Airport. In a bid to crest the 100-mph mark, the driver fabricated a new intake from a Pringles can and cereal box, plumbing it through the headlight for a budget-friendly ram air effect. The result is just enough extra power to reach three digits, making this driver our new hero. Never mind the Mustangs and Vipers this kid is running against. We’re much more interested in the box-shaped, 15-year-old grocery getter chipping away for a personal record. This is real enthusiasm, people, and it’s infectious. Fingers crossed the owner continues to have fun for years to come. The Abarth 500 has been on the receiving end of some interesting special edition models in the past. We’ve seen the Abarth 695 Biposto Record, the 595 Yamaha Factory Racing Edition, and the 500 Track Experience, among others. None of them, though, can lay claim to the title of being the “most sophisticated Abarth ever.” That distinction, according to Abarth itself, now rests on the shoulders of the 695 Rivale Special Edition. Developed specifically to celebrate the company’s close ties to yacht maker Riva, the 695 Rivale is the physical embodiment of the premium luxury that goes into the craft of building those sea vessels. 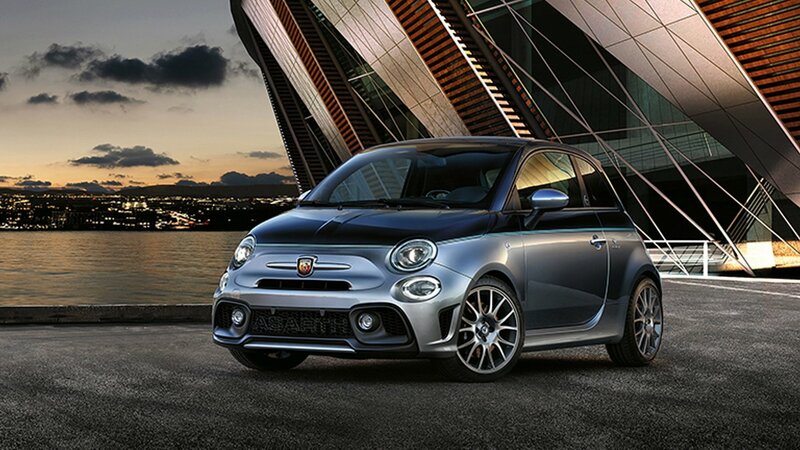 Safe to say, that “most sophisticated Abarth ever” title fits the 695 Rivale. 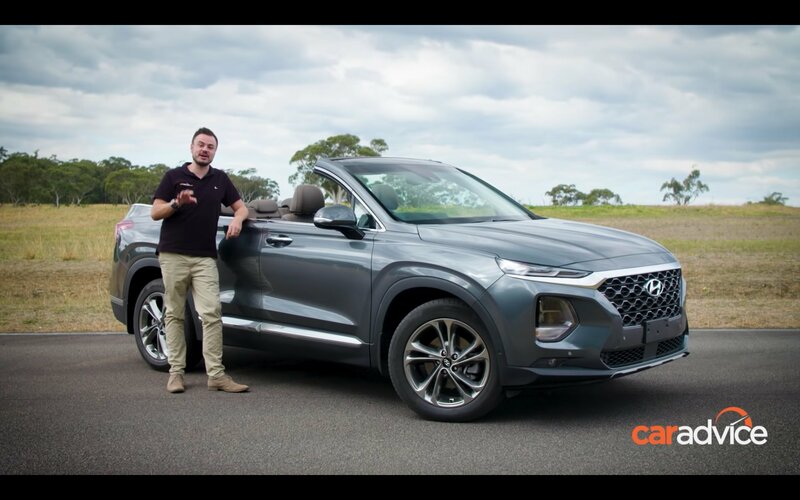 It’s inundated with aesthetic features that shine a big spotlight on the nautical theme of the compact car. Inside and out, the 695 Rivale is decked to the brim with luxury, the kind you expect from any one of the yachts that Riva has built in its 175-year history. The special edition Abarth 695 doesn’t pack any power or performance upgrades, but that’s an inconsequential omission when you compare it to the quantity and quality of cosmetic additions given to the hot hatch. There’s no word yet on how many models Abarth plans to build of the 695 Rivale, but another special edition model, the Abarth 695 Rivale 175th Anniversary, is limited to just 350 units, divided into 175 units for the coupe model and another 175 for the cabriolet version. Continue after the jump to read more about the Abarth 695 Rivale and the Abarth 695 Rivale 175th Anniversary. The way Nicola Soprano sees things is that if you own a Ferrari 250 GTO or a Ferrari P4 you don’t really want to drive them on the street every day. So, Soprano sat down with a pen and a napkin and designed the car you see here – the Sensuale Prototype. To be quite honest, the car is pretty awesome and well thought out. It features a vintage Ferrari engine, a tubular steel chassis, and a hand-formed aluminum body, among other things. 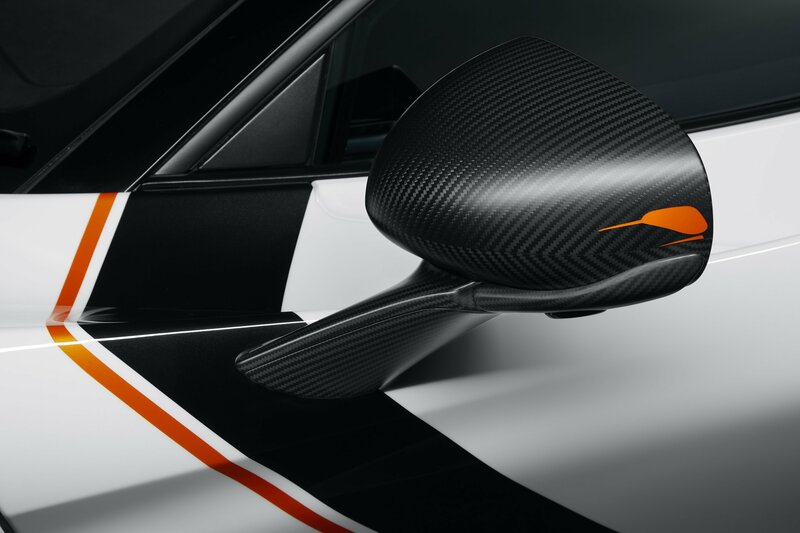 And, even more importantly, the car has its own unique style. 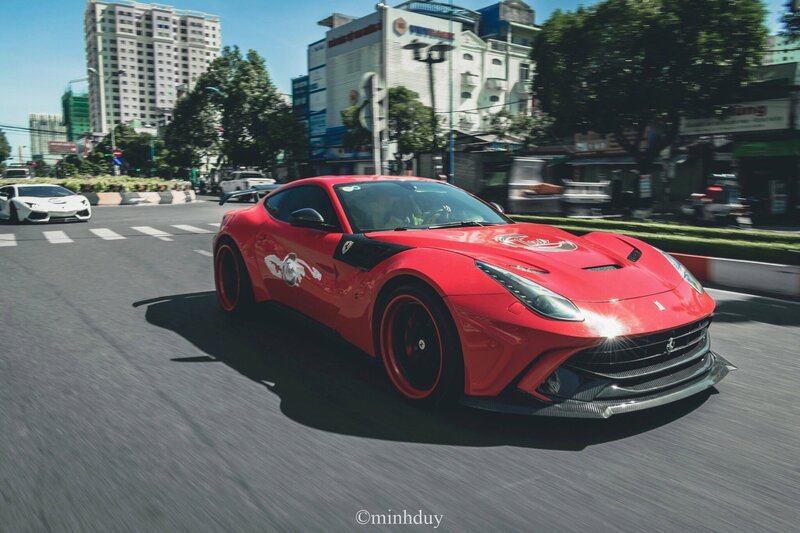 Despite the fact that the car looks complete, it is a prototype, and Soprano himself has said that the work is never really done. 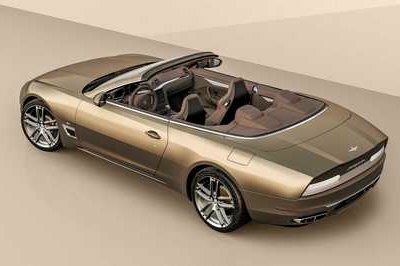 His inspiration came from classic Italian design of 1960s motorsports, which explains the gorgeous look and feel of this car. So, with that said, let’s take a good look at the Sensuale and talk about all the fine details that make this car a true one-of-a-kind.